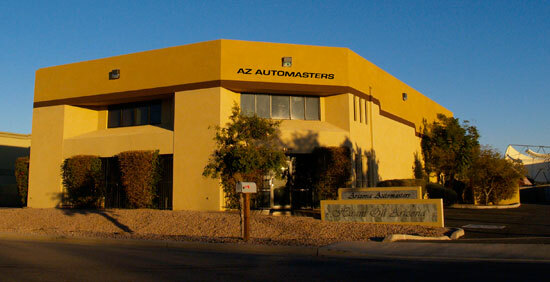 At AZ AutoMasters we specialize in top quality repair and upgrade modifications of all GM vehicles. With our primary target market since 1998 being Corvettes, Camaros, Firebirds, and GM Trucks. While these are our main stays, we have had the privilege of also upgrading many other popular GM vehicles including Chevrolet Cobalts, SSR, Trailblazer, SS Silverado, Tahoe/Yukon, Pontiac GTO, GXP, GTP, Solstice, Cadillac Escalades, CTS-V and more. Basically all LT1 and LS based vehicles. Although our target market is GM vehicles, we have extensive experience upgrading Ford and Dodge products as well. As scheduling permits we also offer full service and repair of most all domestic and import vehicles. From complex diagnostic problems and mechanical repair, to performance upgrades and custom fabrication, we’re here to help with high quality at affordable prices.